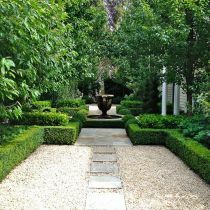 Created by landscape designer Andrew Stark, this is a beautifully maintained family garden designed for entertaining and family enjoyment. It features a series of garden rooms that maximise their use of space and are cleverly crafted through layers of hedging with variation in colour and leaf form. 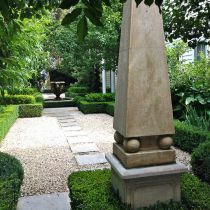 True to Andrew's design style, the garden has highly stylised plantings of buxus, laurel, magnolias, gardenias, jasmine and ornamental pears. Banks of hydrangeas create a pop of colour and add seasonal interest. A mature Aspen (Populus tremula) dominates the skyline. 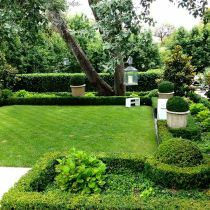 An impressive selection of imported urns and pots from Provence and Spain have been planted with topiary buxus. 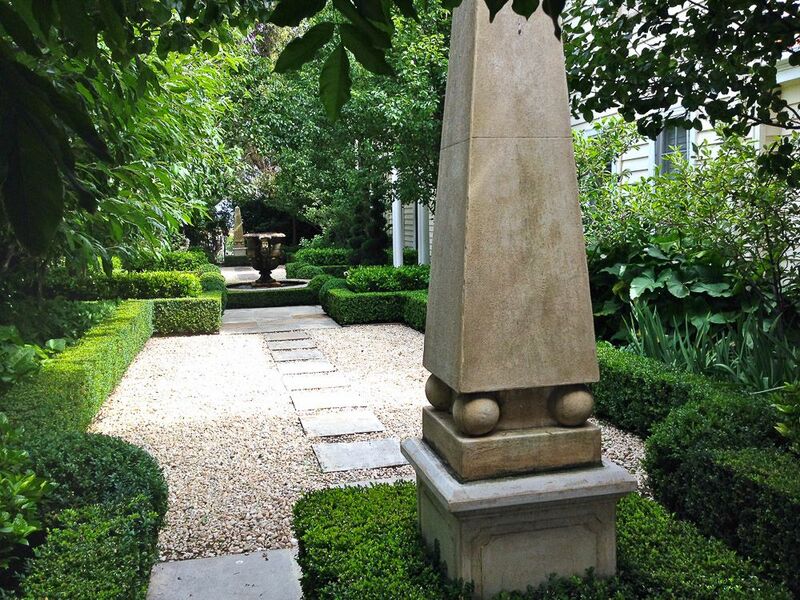 The garden hosts many water features, statues and ornamentation to highlight key areas of interest and importance. A French potager-style vegetable garden sits at the bottom of the garden watched over by two large cast iron roosters. 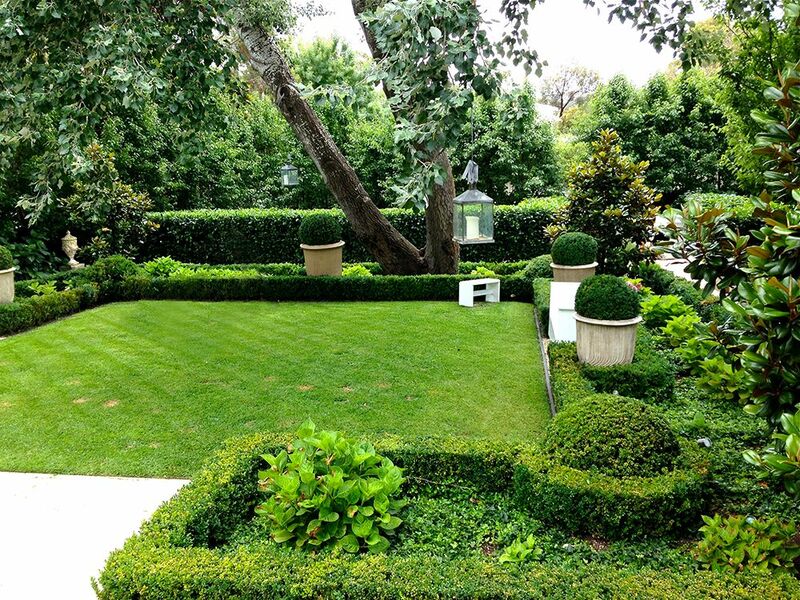 The garden is a delight for the senses with beautiful fragrance from flowering magnolia, murraya, gardenia, Star Jasmine and Japanese Jasmine. 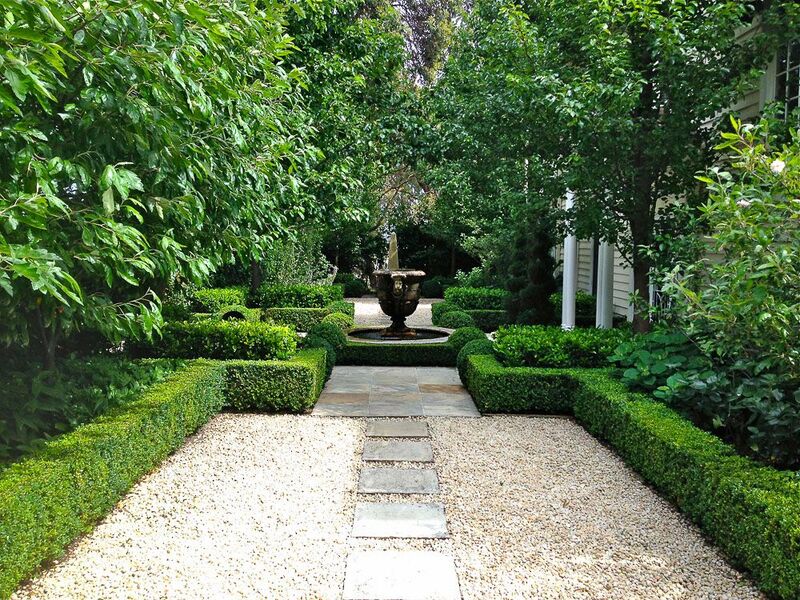 There is year-round seasonal interest with winter, spring and summer flowers and blossoms, autumnal colour, and the overwhelming impact of green throughout the year from the buxus and hedging.